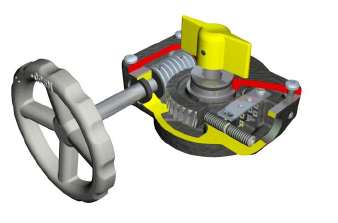 Quarter-turn cast iron gearbox suitable for use with fire protection (i.e. sprinkler) systems, includes limit switches to be incorporated into a supervisory electrical circuit. Designed and tested specifically to meet UL1091 specification and FM1112 approval. See FB Literature Page & FB Options Page for further details.